This versatile and roomy bag, with a zip closure, has an optional key chain and fabric lining with 2 pockets (illustrated instructions included). 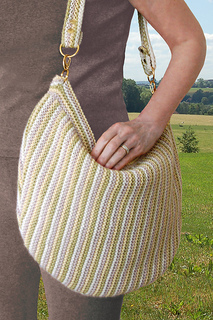 The adjustable shoulder strap attaches to the bag with a “D” ring, a hook and 2 rings each side. 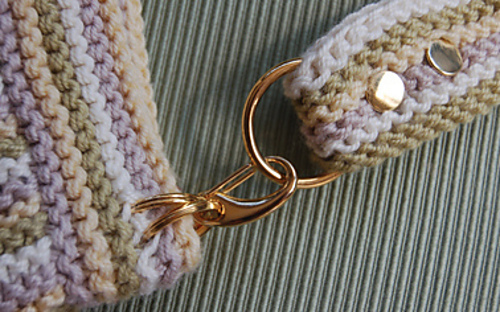 One garter stitch ridge (2 knit rows) is repeated in each of 4 colors across the bag.